WSJ 2016 article still pertinent about this fraudfeasing developer in the White House. TRUMP stiffs everyone he does business with -- I look forward to the House of Representatives obtaining and publishing his tax returns, which our Cockamamie Combover Caligula, Herr DONALD JOHN TRUMP, promised to produce in 2016, and has still not made available. A review of court filings from jurisdictions in 33 states, along with interviews with business people, real-estate executives and others, shows a pattern over Mr. Trump’s 40-year career of his sometimes refusing to pay what some business owners said Trump companies owed them. A chandelier shop, a curtain maker, a lawyer and others have said Mr. Trump’s companies agreed to buy goods and services, then reneged when some or all were delivered. Larry Walters, whose Las Vegas drapery factory supplied Mr. Trump’s hotel there eight years ago, said the developer, Trump Ruffin, wouldn’t pay for additional work it demanded beyond the original contract. When Mr. Walters then refused to turn over some fabric, sheriff’s deputies burst into his factory after Trump Ruffin sued him. Trucks took the fabric away. Payment disputes aren’t unusual in the construction industry, where aggressive developers sometimes leave behind dissatisfied vendors and contractors. Billionaire casino magnate Sheldon Adelson, chief of Las Vegas Sands Corp., for example, has been involved in payment disputes with contractors concerning his Venetian casino on the Las Vegas Strip. Sands declined to comment. Yet Mr. Trump’s withholding of payments stood out as particularly aggressive in the industry and in the broader business world, said some vendors who had trouble getting paid. It is “a strong-arm tactic that is frowned on,” said Wayne Rivers, a small-business consultant in construction. The tactic is more common in Northeast construction than in other regions, he said, and is abnormal in much of American business. Mr. Trump said the only unusual thing about his approach was that he pays bills faster than normal businesses. He said he sometimes gives bonuses for great work, and he agreed to provide names of such vendors. His spokeswoman, Hope Hicks, gave the Journal a list of 10 companies. Trump Organization Chief Financial Officer Allen Weisselberg later said the list was of satisfied vendors who hadn’t gotten bonuses. Mr. Trump’s best-known payment dispute was in Atlantic City in the early 1990s, when Trump executives told contractors working on his Taj Mahal casino they should agree to accept less than full payment or risk becoming unsecured creditors in bankruptcy court. In 1991, the Taj filed for bankruptcy. 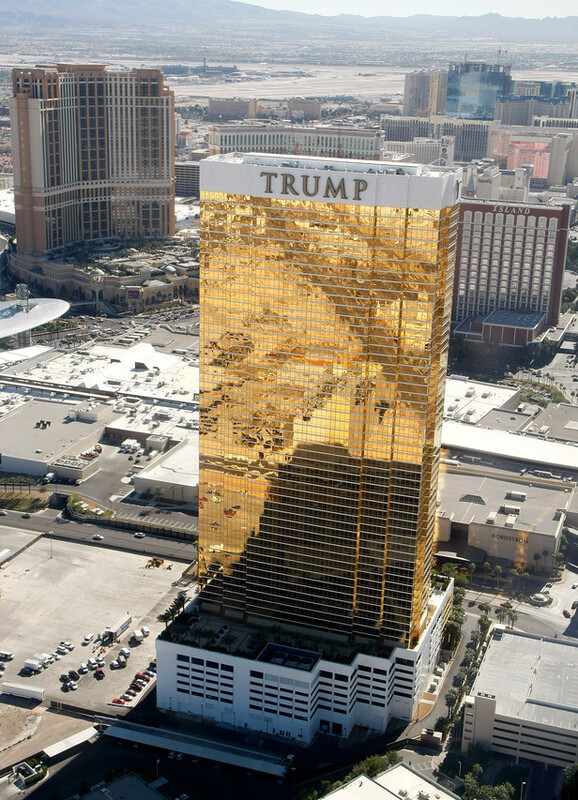 Mr. Trump said in a Journal interview last year that those who lost out in the Taj probably wouldn’t have had jobs or contracts in the first place if it weren’t for him. 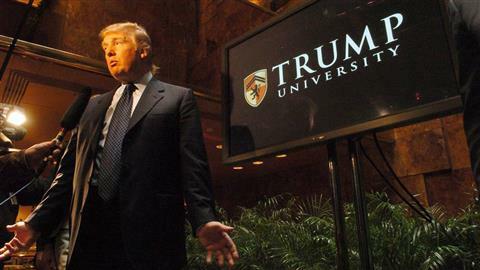 Vendors with legal muscle have sometimes had better luck collecting, including several that sued Trump University, the now-defunct real-estate school. The MGM Grand in Las Vegas sued Trump University in Clark County, Nev., court in 2009 for allegedly failing to pay a $12,359.51 fee for a canceled event. The casino was paid and dropped the suit, an MGM spokesman said. Some small businesses, such as Classic Chandeliers in West Palm Beach, Fla., decided they couldn’t afford to fight. In 2004, Mr. Trump chose 5-foot-wide chandeliers with 75 bulbs from the store, said Judith Jacobson, who said she designed the fixture and worked there with her ex-husband, Nicolas Jacobson, the owner. 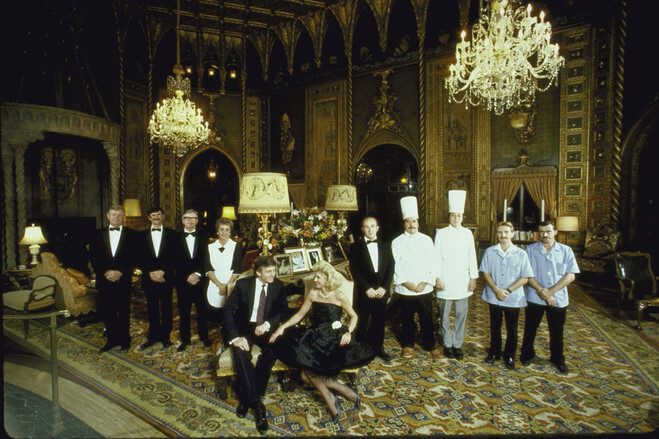 Mr. Trump later sued Classic Chandeliers in Palm Beach County, Fla., court saying he shouldn’t have to pay in full because the company didn’t install the chandeliers properly. Mr. Jacobson, whose last name was spelled Jacobsen in the lawsuit, denied the claim. Court records show the suit was dropped in 2006 after a planned mediation. Ms. Jacobson said Mr. Jacobson agreed not to be paid in full rather than accumulate legal fees. A review of Palm Beach County court records showed no other payment disputes involving Classic Chandeliers. The shop later closed. Mr. Jacobson died in 2015. 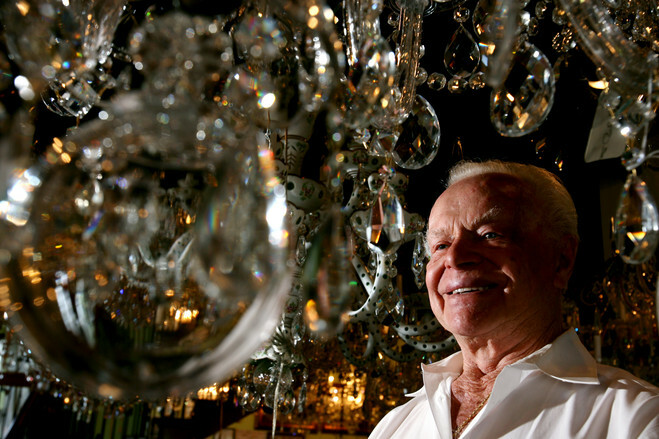 A onetime competitor of Mr. Jacobson’s, owner Jack Shea of Reward Lighting said he had a “fabulous relationship” with Mr. Trump, to whom he said he sold chandeliers without payment problems. Mr. Shea occupies Mr. Jacobson’s former storefront and once bought some of his former business assets. New York real-estate broker Barbara Corcoran, a frequent guest on the show “Shark Tank,” wrote in a 2003 book that Mr. Trump refused to pay her and associates a commission on a $100 million investment in a New York City real-estate project she helped secure in 1994. Of monthly payments he agreed to make over three years, she wrote, he paid two. Mr. Trump sued in New York County to cancel remaining payments and recover alleged damages after Ms. Corcoran’s associates were quoted in a profile of him in New York magazine, court records show. The judge ruled against him. Ms. Corcoran’s then-lawyer, Richard Seltzer, said: “He took advantage of the legal system to try to avoid debts.” Mr. Seltzer, former chairman of real-estate litigation at law firm Kaye Scholer LLP, said Mr. Trump’s approach to business agreements is common only among a small subset of privately-held New York development companies he has encountered but rare in the broader world of real estate and business. Lawyer David Hopper, who worked for Trump Organization and other Trump companies, sued in Virginia federal court claiming that in 2011 they owed him $94,511.35 in legal fees. After invoices from Mr. Hopper went unfilled for more than 60 days, Trump representatives had told his firm the bills were “too high” and it should agree to cap its fees or reduce them by 70%, according to court filings. In response, Mr. Hopper withdrew from representing a Trump company in a federal case. After a Trump lawyer called Mr. Hopper’s work “shoddy” in a local publication, Mr. Hopper filed his suit, alleging defamation and breach of contract. Trump lawyers responded that the business didn’t owe the money and denied defaming him. The parties settled, drafting a statement that the Trump Organization “appreciated” Mr. Hopper’s services. Mr. Hopper declined to comment. In Las Vegas, Mr. Walters’s drapery dispute took a bizarre turn when the sheriff’s deputies presented a court order demanding he hand over fabric his company, Catalina Draperies, was using to make curtains, bedspreads and pillow covers for Trump International Hotel & Tower, being built on the Strip. The original order in 2007 had been for $702,958, court records show. Trump Ruffin, managed by Mr. Trump, pressed Mr. Walters to hurry, repeatedly asking for extra work, Mr. Walters said in court testimony and other court records. With the project mostly finished, the company paid Mr. Walters around $553,000 for a job he said had grown to $1.2 million with extra orders and with material he provided, according to court documents. In March 2008, Trump Ruffin rejected his invoices for the extras, Mr. Walters told the Journal this year. He stopped the work and kept the fabrics as collateral. The company sued him to obtain the fabrics. Trump lawyers said in legal filings Mr. Walters didn’t have proper paperwork to prove he was owed much of the money and had agreed to provide the material. Mr. Walters told the Journal he had complied with demands for extras, even without formal documentation, because he trusted the Trump company and hoped for more of its business. Bill Langmade, CEO of Purchasing Management International, the agent that worked on behalf of Trump Ruffin on Mr. Walters’s billing, said the onus is on vendors to have proper paperwork. —James Oberman, Melissa Korn, Peter Grant and Brody Mullins contributed to this article.